In five years, many superannuation funds that exist today will not be here because of underperformance, or because the advantages of a merger are deemed to be in the best interests of members. Industry consolidation is moving faster than ever, and for those funds pursuing a successor fund transfer, the ability to chew gum and walk at the same time is essential. Should my fund continue to exist? When is a merger in the best interest of members? Delivering a healthy business in a merger. New entrants and new technology. Mergers must deliver what members really want. Why would big funds want to merge with smaller (or underperforming) funds? There is another way to merge. Giving up your baby is hard to reconcile, but the industry has now seen many hundreds of mergers and is getting quite good at it. 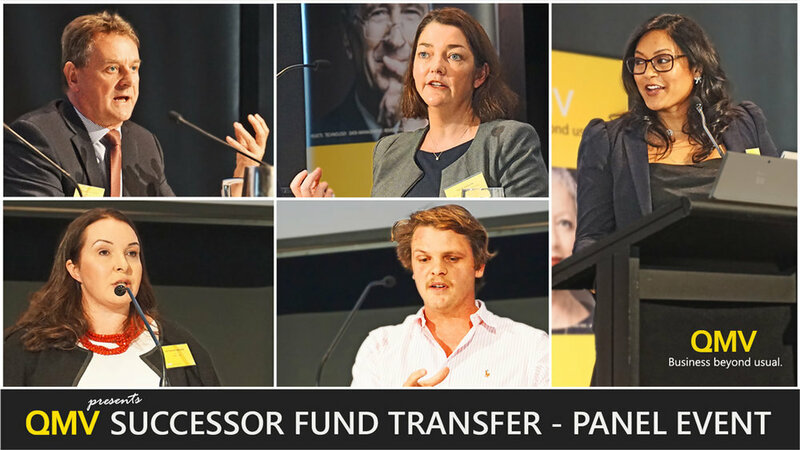 The panel was immediately united on the position held by Mr Nicholas Sherry, former federal minister and chair at Household Capital, that the industry has reached the point where we can no longer ignore funds that under perform long-term against their peers. “A trustees’ fiduciary duty is not just about running a fund, as important and critical as that is, it's about fundamentally asking the question, should my fund continue to exist?” Mr Sherry said. Mr Sherry highlighted the extent of consolidation over the past 15 years and observed that the current rate of consolidation is faster than ever. Mr Sherry believes in five years, the profit for members sector will probably be down to 10 to 15 large industry funds, six public sector funds, he is not sure what will be left of corporate funds and says it’s hard to make a judgement on how many retail funds will remain because of the additional challenges they face. Mr Sherry says that at some point, with some funds, APRA must become the driver to winding up poor performance. He also sees the potential of members pursuing common law action against trustees for failing to wind the fund up. Ms Rose Kerlin, group executive, membership at AustralianSuper says the evidence is clear and grace periods are over, with more aggressive movement being required. Ms Kerlin noted that, in the wake of the royal commission, AustralianSuper has experienced a spike in new memberships. “Community expectations have certainly increased. We're seeing new members moving to AustralianSuper who have voted with their feet,” she said. WHEN IS A MERGER IN THE BEST INTERESTS OF MEMBERS? Ms Katherine Kaspar was, for eight years, a member of the Kinetic Super board, which ultimately made the decision to merge with Sunsuper. After taking on the role as chief executive officer, she was charged with execution of that decision. Katherine walked the audience through the board’s process in arriving at a merger and emphasised the importance of funds knowing exactly who their members are today in order to truly deliver what is in their best interests. Do we have what it takes to give our members what they need for a better retirement outcome? What can we do better today for our members? Do we have, or need, a strong digital offering? Do we have the best insurance offering? Do we have, or need, advice capabilities? Do we know our value proposition? The decision to move forward with the merger was about delivering more for members, with a planned cost of no more than the $20 per member (with that amount being delivered back to members, plus more, within six months). Katherine’s executive role at Sunsuper, which ceases in May 2019, formed part of the strategy to successfully integrate the two funds while preserving Kinetic’s heritage: its members, employers, people and connection with the recruitment industry. A key part of the merger strategy is to continue running a healthy business, which may involve restructuring existing operations. “You need to remember you're not just running a merger. You are running two strategies. They are running in parallel and you must get them both right,” Ms Kaspar explains. Mr Sherry says that dealing with the process of a merger can be very challenging. The distraction for funds engaged in merger talks is very real, very resource intensive and occurs all while trying to deal with other business matters. He advised that dealing with the hot issues around culture is critical, indicating that difficult conversations such as future board roles and executive positions are better to happen first. New entrants to the superannuation landscape offer a fresh set of ambitions around efficiencies, value propositions and knowing who your members are in real-time. Mr Joshua Wilson, chief executive at GROW Super, sees technology as a major factor in creating attractive value propositions, irrespective of fund size. GROW position themselves as both a superannuation fund and a technology provider to other funds and have recently launched an administration platform based on blockchain technology called, ‘Tina’. The platform was named after Tina Arena and her song ‘Chains’. Current administration providers, while effective, can be limited by intensive manual processes and complexity that doesn’t need to be there. The challenges and limitations funds face with technology has driven GROW’s ambition to offer administration technology that enables configurability, scalability and supports multiple platform plug-ins. “The world changes very, very quickly. We don’t yet know what new technologies will emerge, but we must be ready to respond to change. If your business is in creating unique value propositions and knowing who your members are in real-time, then being able to modularise value propositions will play a big part in that,” he said. “We see technology as an enabler of new and different operating models for funds to deliver value back to members. A big part of that is saying no, to things that you’re not going to do because it doesn’t fit the value proposition,” he said. WHY WOULD BIG FUNDS WANT TO MERGE WITH SMALL (OR UNDERPERFORMING) FUNDS? Synergies really help. If prospective partners share external providers from the start, then some of the complexity can be removed and benefits can be realised more quickly. For seasoned funds who have completed multiple mergers, the time and the cost of SFTs have come down significantly. For instance, AustralianSuper recently performed an SFT that took only three months. Mergers are a joint effort, but each case varies; for example, a substantially bigger fund will typically do “more of the heavy lifting” because they have in-house expertise and established processes. “Our directors still had to put their hands on their hearts and say, actually, this is in the best interests for our members. So, it is a difficult balance to get right,” she said. Ms Kerlin adds that AustralianSuper actively explore mergers with funds of all shapes and sizes - if it is in member’s best interests. Mergers need to be profitable within a payback period and, of course, it can’t be a big drag on performance. Another concept Ms Kerlin suggested to further assist smaller funds, is that APRA could consider waiving their levies to help off-set merger costs. With extensive experience advising international pension and retirement entities, Mr Sherry offers a unique perspective to the scale and efficiency dilemma. In Canada, for example, the provincial old public sector funds have become the wholesale investment entities for a significant number of private sector smaller funds. This has allowed the private sector funds to keep their trustee entity and their identity, along with their full legal remit. Mr Sherry added that even in a full trustee merger, the separate cultural identification of members and employers, including some operational aspects, can be retained via some IT/admin platform solutions without a significant cost or weakening the scale gains elsewhere. I know you will appreciate there were additional insights from the panellists which I was not able to outline. I would like to thank the panellists for all their preparatory effort as well as their contributions on the day, and would also like to thank QMV’s Wendy Colaço for acting as moderator. Thank you of course to our attendees for supporting the event and joining us in what was a very enjoyable session. We look forward to seeing you at our next event! If your organisation is considering a successor fund transfer, QMV can help. We have performed dozens of SFTs, and can assist with advisory, strategy, negotiations, governance and delivery. For further information please telephone our office p +61 3 9620 0707 or submit an online form. QMV provides trusted advisory, consulting and technology to Australia’s leading superannuation, insurance, banking and wealth management organisations. Would you like to come to QMV’s next event? Find out about QMV events here or register today. Like what you see? Please subscribe to receive original QMV content!